There are few places more restful, more peaceful, than islands. The small, car-free Great Diamond Island – part of the chain of Casco Islands off the coast of Maine – is the perfect retreat from the modern world. 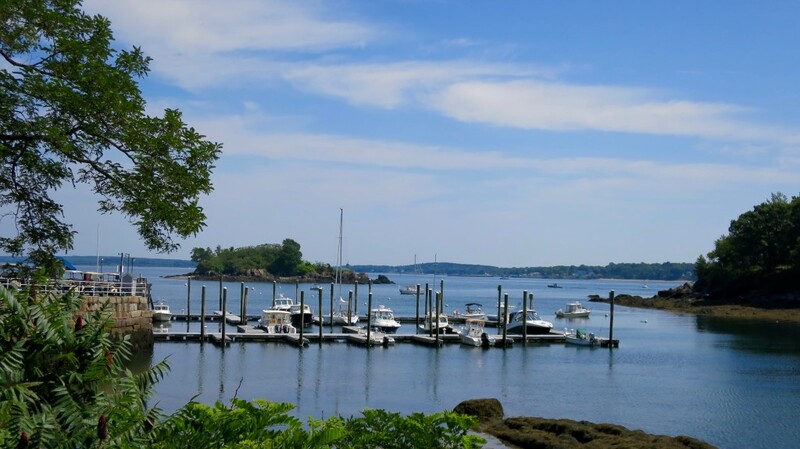 The island was an artistic retreat visited by Henry Wadsworth Longfellow and Harriet Beech Stowe in the 1800s; but the end of that century, Fort McKinley was built there as part of the United States’ coastal defense system to protect Casco Bay and the deep-water Portland harbor. The fort had barracks and officers’ quarters along with tactical buildings such as mining casements, batteries, observation stations and storehouses. Today, visitors sleep in the same rooms — albeit (thankfully) enlarged and refurbished into beautiful guest suites. Fort McKinley was decommissioned after World War II and sold to private interests. After decades of neglect and decay, the fort has been restored to its original elegance. Now known as the community of Diamond Cove, the officers’ quarters have become gracious homes and the barracks have become the Inn at Diamond Cove. The former quartermaster’s storehouse is now a fine-dining restaurant, the wagon shed is an art gallery, and the blacksmith shop a general store. Diamond Cove is listed in the National Register of Historic Places, and every effort is made to preserve its architectural integrity. 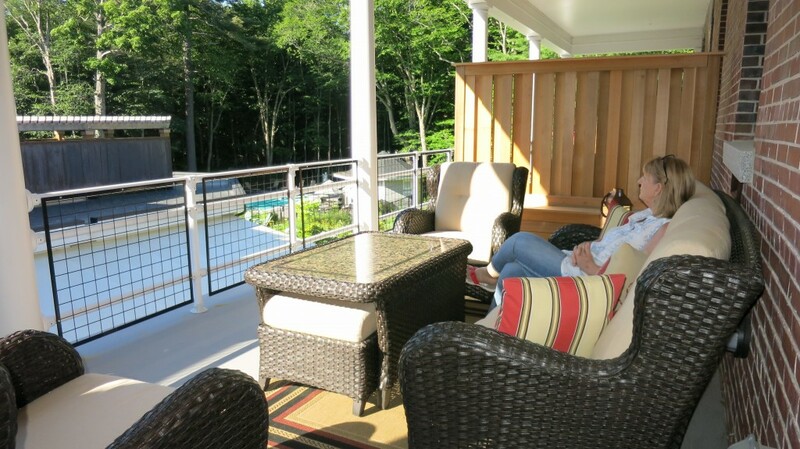 The island epitomizes an idyllic Maine life, with a picturesque marina, several beaches, hiking trails and an outdoor heated pool. It’s reached via a short ferry ride from Portland, or by personal boat that can be docked at the marina; transportation while on the island is by golf cart, bicycle or your own two feet. 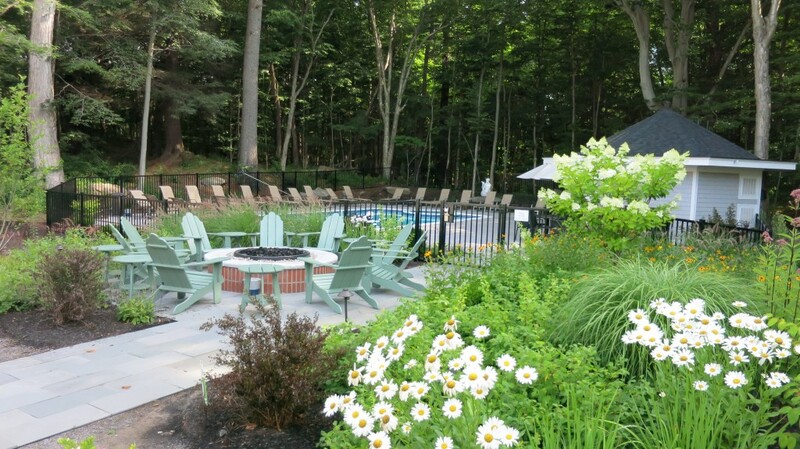 The community offers many amenities including a heated pool, tennis courts, a modern workout gym, and a game and recreation building with 2 original bowling alleys. There is wireless internet throughout the property. Dances and other community events are held in the gymnasium, and there is a Kids’ Camp offered in the summertime. Swim lessons are offered at the pool; art classes and wine tastings are held in the Art Gallery building; and weekly island dinners are held at the General Store, complete with local entertainment. There’s also a yoga studio offering weekly classes in this beautiful setting. 44 deluxe guest rooms and suites with balconies feature custom-made furnishings, hardwood floors, and custom made signature pillow-topped mattresses. Luxury bathrooms offer a spacious granite-top vanity, make-up mirror, and glass enclosed showers. Suites feature a living room with a queen sleeper sofa, conformable seating arrangement, a separate king bedroom and a spacious bathroom. 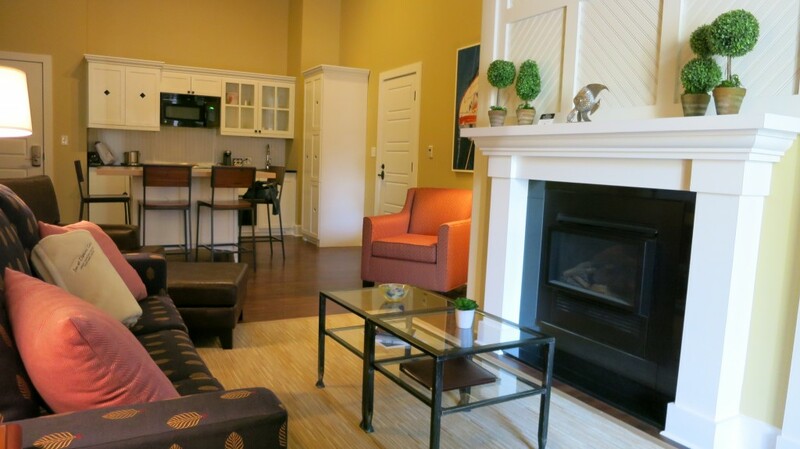 Some suites include a kitchenette and fireplace. There are many connecting rooms and suites, making the perfect arrangement for a large family, reunion or groups. Complete serenity. It’s incredibly soothing to hear no traffic sounds at all; often the only sounds are the trees rustling in the breeze, birds chirping and the waves lapping the shore. 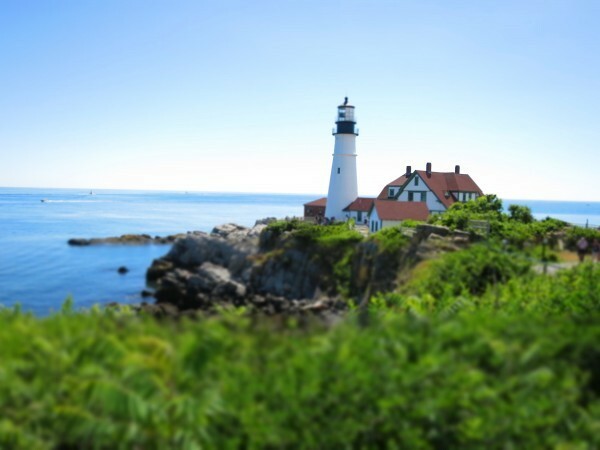 Yet, only a short ferry ride from the bustling town of Portland, you get to retreat to a secluded spot that enjoys easy access to all the restaurants, craft brewpubs, shopping and attractions in the the downtown district of one of the best small cities in America. 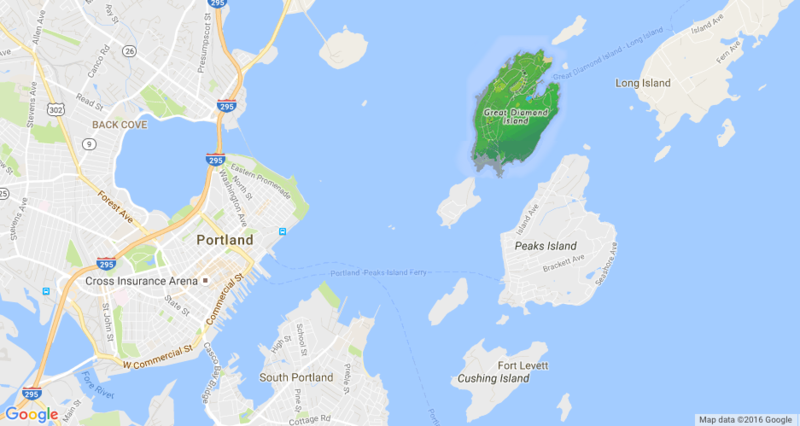 Great Diamond Island is only two miles from Portland. Casco Bay Line ferry terminal is located at 56 Commercial Street on the Maine State Pier, and ferries run both ways 8-10 times a day depending on the season. If you have a car, you can park it right across the street from the ferry terminal using Diamond Cove’s valet service, for $35 a day (including overnight). Rent a bike at the General Store to get around the small island easily, and enjoy the paths and nature here. Also note that the ferry route – which islands it stops at along the way – vary depending on each launch; therefore travel times between Portland and Great Diamond Island can take anywhere from 25 minutes to an hour.